Into the millennium and Gujarat has been hit by the worst-ever drought in the past 100 years. 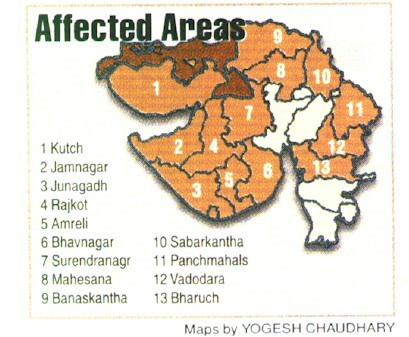 The country, today faces the ravages of extreme water shortage which has spread through five states including Gujarat. With water reservoirs getting shallower as the summer mounts, the absence of monsoon this year could push India's agriculture into a precipice. As the heat wave intensifies, Gujarat reels under water and foodgrain shortages. And the worst is yet to come as summer peaks.